The Flora Family Foundation was established in 1998 by the family of William R. Hewlett (co-founder of the Hewlett-Packard Company) and his wife Flora Lamson Hewlett. The purpose of the Foundation is to promote the well-being of people everywhere by supporting selected activities of charitable organizations and institutions as determined by members of the Board and Family Council. It is predicated on the belief that each individual has an obligation to go beyond the narrow confines of his or her personal interests and be mindful of the broader concerns of humanity. The Foundation is organized around two groups. The Family Council includes the five children and the twelve grandchildren of William and Flora Hewlett, along with the spouses of the children and grandchildren. This is a consultative body that meets roughly once a year to help determine the organization's policies and programmatic directions. It also serves as a forum for discussion and instruction in matters related to the philanthropic interests of the family. The rotating board of directors consists of the children and grandchildren of Bill and Flora Hewlett, plus three non-family members. Spouses of the children and the grandchildren also serve on the board. At any given time, six or seven family members sit on the Board for one- or two-year terms. The Flora Family Foundation places no constraints on grantmaking so long as grant candidates fit the philanthropic interests of the board and Family Council and meet IRS requirements. This provides unrestricted opportunities for both responsive and strategic grantmaking. Grants of the Flora Family Foundation reflect the extraordinary diversity of interests among the members of the Family Council. A hallmark of the Flora Family Foundation is flexibility and responsiveness to needs and opportunities as they arise across the entire public benefit sector. The Foundation supports programs in education, arts and culture, international development, the advancement of women, health, the environment, human services, economic development, humanitarian assistance, cultural preservation, and international security. FFF grants assist work throughout the United States and in countries around the world. The Foundation funds fellowships, research projects, endowments, start-up expenses, media productions, program initiatives, capital improvements, and core operations. Each year the Foundation awards a large number of grants for general operating support over multiple years. This form of support is particularly valuable to nonprofit organizations. The Foundation’s wide reach reflects a conscious rejection of all boundaries on grantmaking. The Foundation’s open architecture encourages the initiative of each member of the Family Council, capitalizing on the wide-ranging talents and experiences of individuals who share equally in decision-making. The Foundation also has two program areas. The Climate Protection Program focuses on ways to slow emissions of heat-trapping gases in the atmosphere. The program is chiefly concerned with coal combustion and the reduction of short-lived climate pollutants such as methane and black carbon. Grants in both the Climate Protection Program and the Gap Program are by invitation. In addition to the foundation’s two programs, FFF has a Marine Conservation Initiative focused on research and projects with global implications for ocean health. Roughly half of the foundation’s budget is disbursed through individually-sponsored grants and the other half through the Climate Protection Program, the Gap Program, and the Marine Conservation Initiative. FFF’s balance of individual initiative and collective action is distinctive among family foundations. Beyond the provision of financial resources, FFF Family Council members and staff support the work of grantees by serving on boards of directors, brokering new funding relationships, and supporting collaborations of grantmakers. All grants of the Foundation originate in the interests of Family Council members, and the Foundation is unable to consider unsolicited proposals. Instead, the Foundation’s staff and Family Council circulate widely in the nonprofit sector, conferring with colleagues and assessing grant prospects in order to generate candidates for support. A copy of the Foundation's most recent financial audit may be accessed here. The Family Council and staff are honored to have been associated with so many exceptional organizations working to support communities and protect the environment around the world. Flora Lamson Hewlett (1914-1977) was a member of a long-time California family. She received her bachelor's degree in biochemistry from the University of California in 1935. She married William R. Hewlett in 1939, with whom she had five children and twelve grandchildren. In addition to close engagement with her family, Mrs. Hewlett devoted much of her time and energies to public service. Her main philanthropic activities centered on the William and Flora Hewlett Foundation, of which she was a co-founder with her husband. 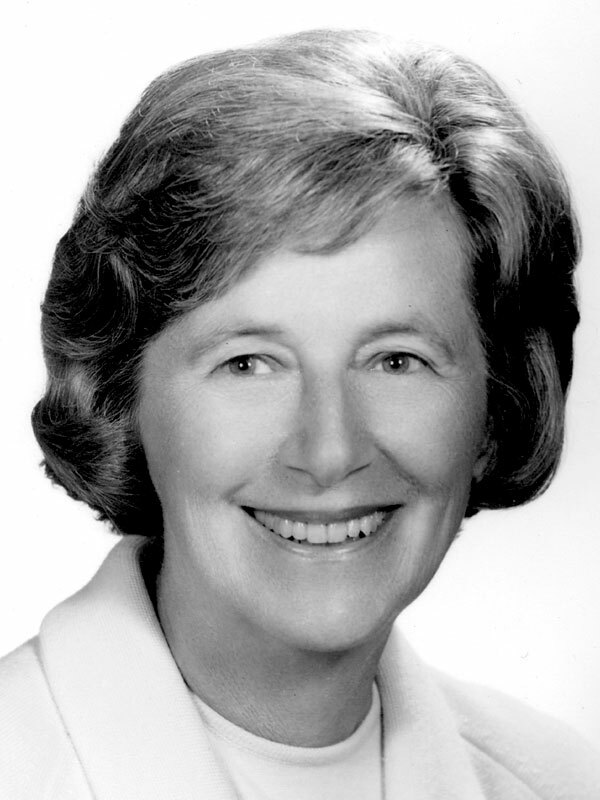 She was a member of the Board of Trustees of Stanford University; a trustee of the San Francisco Theological Seminary; the founder of the Flora Lamson Hewlett Library at the Graduate Theological Union; and an elder of the First Presbyterian Church in Palo Alto. She served on the Executive Committee of the World Affairs Council of Northern California and as a director of California Tomorrow, a statewide environmental group. To Mrs. Hewlett's family and friends, she was known as a person interested in the life of the mind, matters of the spirit, and the beauty of the world. Roger Heyns, the first president of the William and Flora Hewlett Foundation, once said of Flora Hewlett, "She allowed neither her dedication to family and church nor the accession to wealth create a barrier between her and the world whose simple joys she savored.” Flora Hewlett's life and work serve as an inspiration and fitting model for the Foundation that bears her name and honors her legacy. Photograph taken by William R. Hewlett at the Cedars, Placer County, California, date unknown. Photo courtesy of the California Academy of Sciences. The Blue Gentian, or Explorer’s Gentian (Gentiana calycosa), was one of Flora Hewlett’s favorite flowers. The gentians are a diverse family of some nine hundred species, including several in the Sierra. The flower is named after Gentius, an ancient king of Illyria who is credited with discovering its many medicinal qualities. The flowers bloom in late summer and fall, in mountain meadows. This photograph, taken by William R. Hewlett in the Sierra Nevada Range, was the emblem for FFF in the Foundation’s first years. The logo of the Flora Family Foundation retains the five-petal form of the Explorer’s Gentian and stands symbolically for the five branches of the Hewlett family. The petals point outward in five different directions, symbolizing the distinctive and often divergent paths that Family Council members take in their individual grantmaking. Yet the five petals are also firmly secured at the center, representing the collective pursuits of the Family Council. Patricia Gump is the program administrator and Corporate Secretary of the Flora Family Foundation. She joined the foundation in 2001 after over twenty years at the William and Flora Hewlett Foundation where she worked in a variety of capacities including grants management and program administration. Ms. Gump has previously served as a board member of the Las Lomitas Education Fund and the Foundation for the Future, raising funds for local public schools. She is a graduate of the University of California at Santa Cruz. Annette Rado is the chief financial officer of the Flora Family Foundation. Prior to joining FFF in 2001, Ms. Rado was the chief financial officer of the Career Action Center where she worked for 27 years in various accounting positions. She was previously an elementary school teacher for several years in public and private schools in the Bay Area. Ms. Rado is a former treasurer of the National Brain Tumor Foundation board. Ms. Rado is a graduate of San Jose State University. Steve Toben is the president of the Flora Family Foundation. Before joining the FFF staff in 2000, Mr. Toben served for nine years as a program officer at the William & Flora Hewlett Foundation where he directed the foundation's programs on conflict resolution and the environment. He is a former chair of the Environmental Grantmakers Association and a co-founder of the Peace and Security Funders Group. Mr. Toben began his career as a law clerk for the Hon. Sam J. Ervin, III, on the United States Court of Appeals for the Fourth Circuit and practiced law for eight years. He is a former member of the Portola Valley Town Council and twice served as mayor. Mr. Toben is a graduate of the University of North Carolina and the Yale Law School.